Explore the best of Kansas city beer and spirits on this 4 hour beer and distillery tour. 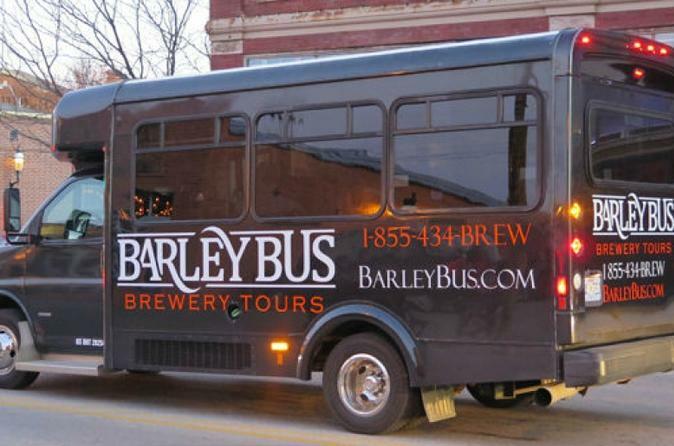 Ride in a comfortable mini bus with a knowledgeable, expert driver and guide as you try three samples at three stops including two breweries and one distillery. Get exclusive insight into the inner workings of an urban brewery and learn how craft spirits are made on this exclusive tour. Ever wondered what an urban winery looks like and how it operates? Curious about why early brewers first decided to cultivate hops as a superior alternative for brewing beer than other flowering plants? Want to know why whiskey producers use copper stills to distil flavorful spirits from sour mash? Kansas city has seen an explosion of interest in craft beers, fine wines, and small production spirits in recent years, and larger numbers of people than ever before have started asking themselves these questions. This tour offers you the opportunity to answer some of these questions and more during a four-hour adventure trekking across Kansas City's urban core and outlying areas discovering what's happening in the craft beer and spirits world. The tour starts at Ollie's Local, a true neighborhood bar known for quality drinks, a modest, down to earth attitude, and a killer jukebox. After meeting your affable, friendly driver/guide and grabbing a quick optional pint at your own expense, you will head to the bus to meet the rest of the group and head out on your trip. This tour can vary between trips depending on your interest and guide's individual discretion in regards to the best stops for each specific groups - some groups prefer stopping on two breweries and a single distillery, others want to focus specifically on just beer. Each group will decide how to best allocate the three stops you will make throughout the day. After visiting three select breweries and/or distilleries spread throughout central Kansas City, you will head back downtown for a central drop off and preferred mode of safe transportation back to you local home, hotel, or local vacation rental.